A one week introductory class in Asian cuisine was enough to spark an intense interest that would later drive Ben Smith to open his own restaurant in the heart of Cooper-Young. 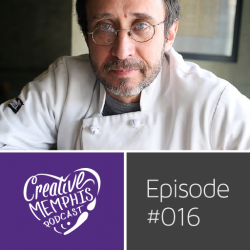 The conversation with Ben ranged from his experience teaching at L’ecole Culinaire, his own learning experience, what it’s like to live and work in Hawaii, and how he came to open a restaurant in Memphis. The people who make your food are not who you think they are. With a setup 10 years in the making Josh Horton, home grown designer from Memphis, brought massive talent from across the country to Memphis and dubbed the event Creative Works. Josh came to design through stages of exploration including medical practice, business development, and sound engineering. 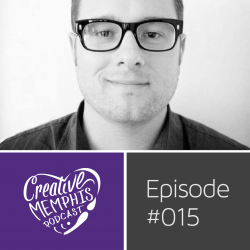 It was through sound engineering he fueled the possibility for design, left Memphis, learned he could make a living at it, and later came back to champion the celebration of Memphis and the catalyst that is creativity.